Why Are Alkaline Food Lists Different? Why Are Alkaline Food Charts All So Different? I can totally see why it would be so frustrating to see such differences in the lists of alkaline foods out there. You get started, think you’ve got a handle on things and then…BAM…that food you’ve been eating for the past two week is suddenly acidic on another chart you see! When you’re starting out on a new diet plan or healthy eating lifestyle it can be hard, so the last thing you want to see is that your hard work has been fruitless. 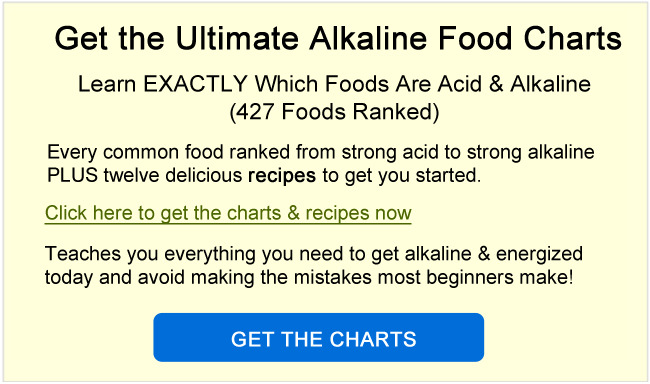 So in this guide I want to clear a few things up for you, explain why there are differences and give you the reasons why I believe that my Acid/Alkaline Food Chart is the clearest and most accurate, and the one you should be following. 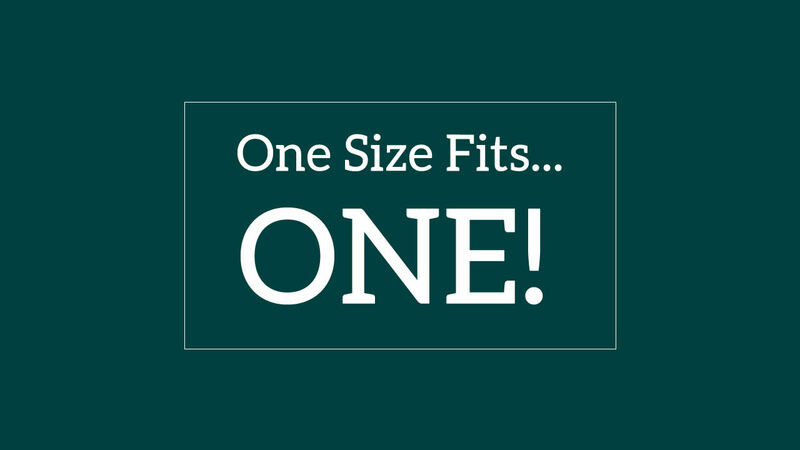 As I like to say one size fits…ONE!. Not all, one. We are all different, we are all individuals. We all have our own complexities, genetic strengths and weaknesses and so on. The work your body does to maintain your blood pH at 7.365 is complex, and what you have going on in your body will determine how easy or hard that it, how powerful or not certain foods will be, how quickly you’ll see results, what hurdles you’ll need to jump and which goals will be easy for you. Again, it all comes down to using these charts as a guiding principle. And importantly you never have to be perfect. This is one of the absolute cornerstones of my coaching – you never, ever have to be 100%. So with that in mind, even more these charts become a guide for you to eat the higher alkaline foods, and steer clear of the stronger acidic foods most of the time. Don’t get too bogged down in detail, don’t overthink things too much. Relax and use these charts to educate yourself, and build yourself a solid bank of delicious, easy to make recipes that you can rely on to consistently move your body towards your health goals. It’s also important for me to highlight at this stage that we are not trying to change your pH and make you more alkaline. The goal of the alkaline diet (and this is a mistake/misunderstanding of so many people, including most alkaline ‘experts’ out there) is to give your body the tools (read: nutrients) it needs to effortlessly maintain your pH. Not get ‘more alkaline’, or get ‘alkalized’. This will not happen. Your body will ALWAYS keep your blood pH as close to 7.365 as possible. It is the stress caused by your body needing to regulate this pH that causes the issues. You can read more on this in my alkaline myths guide here. But for now, just remember this -keep it in mind, because it also helps you to navigate your way through the charts, and through life when you’re following my advice! I know it is quite confusing to see such differences in the charts. This amount of conflicting information is the main reason I set up this site and started down this path in the first place…and as I mentioned, I believe my charts are the most accurate. You can grab a free copy of my charts here. There are two principle reasons why you’re seeing different classifications in the charts. For instance, why are pineapples strong alkaline on some, but strong acid on others? And why are tomatoes acidic on some, yet alkaline on mine? PRAL: many charts (the lazy ones!) base their rankings on the readings solely on the Potential Renal Acid Load research (PRAL). This is not an accurate source for the purpose of the net-acid-or-alkaline effect of the food on the body. The reason for this is, to test for PRAL they basically burn the food at an extreme temperature and then take a read of the ‘ash’ that is left behind and what it’s pH is. While this does give a read of its alkalinity from the mineral content of the food, this is only half the picture. By burning it at such a high temperature they also burn away all of the most acid-causing content of the food, namely sugar. That is why on some charts high sugar fruits are listed as alkaline. Bananas for instance are high in the alkaline mineral potassium, BUT they are also 25% sugar which makes them very acidifying when we consume them. Net Effect: the other mistake other charts make is they only consider the pH of the food before consumption, which, really, is totally useless. I don’t care about the pH of a food item as it sits there in nature, I care about the acid-or-alkaline effect it has on my body once I’ve consumed it! This is why you’ll see some charts list lemons, limes, tomatoes etc as acidic, when in reality they are alkaline-forming to the body once digested. The alkaline mineral content of these foods far outweigh their acid (usually citric) content. There are some other unproven theories circling around ‘hybrid foods’ that you really don’t need to take notice of (that’s a guide for another day). But basically – these are the two principle reasons why there are differences in the charts. Remember – most charts are around 80% the same, but these differences can be key. Some charts determine acidity or alkalinity on the food before it is consumed & others (like mine) are more interested in the effect the food has on the body after it has been consumed. Personally, I have no interest in what a food is before I’ve eaten it – I want to know whether it will alkalise or acidify my body. Make sense? Some stand out examples include fruit, as you mentioned, such as banana – but another great example is the low sugar fruits such as tomato and lemon. 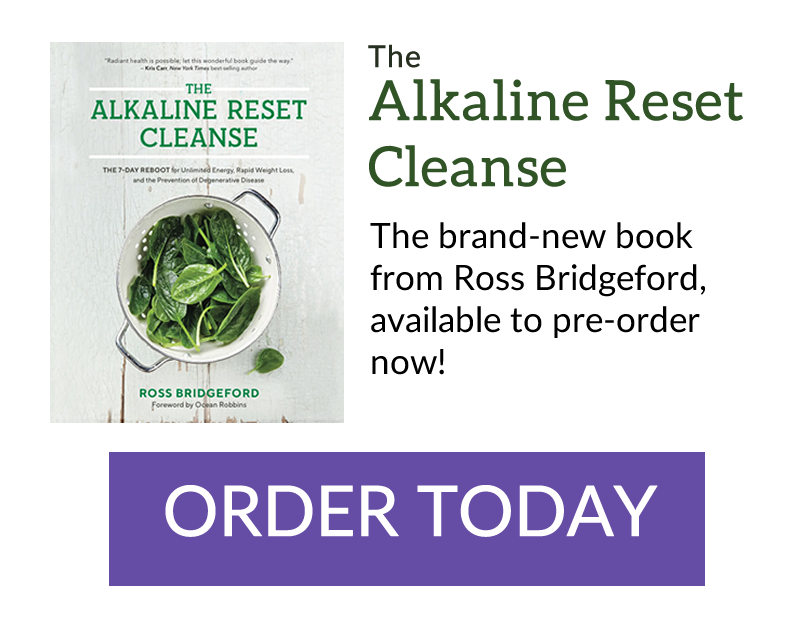 These are listed under the PRAL charts as acidic, and in their natural state they are – but they are very, very alkalizing once consumed and are a really integral part of the alkaline diet – featuring in hundreds and hundreds of recipes. I hate to think of the amount of people there are out there who are eating a heap of high sugar fruits every day and are not getting any tomato, avocado, lemons, limes etc. Some people I have spoken to even eat ONLY fruit for half of the day. They are literally living the acid diet, not the alkaline diet! This is far too much fructose for your body (particularly the liver) to handle! When you eat too much fructose (and I do recommend checking out the guide I posted above about fruit and the alkaline diet) this places a lot of stress on the liver. While other sugars can be metabolised throughout the body, only the liver can metabolise fruit. I have classified over 400+ foods from Strong Acid, through Neutral, up to Strong Alkaline in my Acid/Alkaline Food Charts. You can get the charts for free here (plus 21 alkaline recipes and other guides too) to check it out. The way these foods have been classified is using a mixture of all of the tools we have available. I’ve ‘triangulated’ if you will! It’s based on my 15+ years experience in this field, and access to other brilliant researchers, scientists, nutritionists and the work they have done, particularly live blood microscopy, with their patients. And finally the effect the food has instantaneously on the blood once consumed (as per microscopy). This, I believe, gives you the most well rounded, accurate chart to follow. If you have any questions at all, or would like me to include a new food that’s not already in there, please feel free to post this below in the comments! Those are great, except for the goji which should be in moderation. A lot of my supplements test out acidic by litmus test. I have chosen to stop taking them as the alkaline diet ended my prostate pain caused by chronic prostatitis from radiation. What else can I do? Any suggestions? Organic apple cider vinegar ? Loving your charts! I’m so tired of seeing inconsistencies in other charts I’ve seen. One recently said that soya sauce and lean chicken are alkaline! Question- are chickpeas acidic? Couldn’t find it on the charts. I’d love to keep eating them but I have a sensitive stomach and they make me feel bloated and tired- but not sure if they’re acidic or not. Hi Ross, I have had major problems with fatigue and only being able to eat 1 – 3 different foods for the past 12 months. I am NOT allergic to any foods but am intolerant of ALL vegetables because of Salicylate intolerance. 7 years ago even though I had been eating a quite healthy diet with mostly home cooked meals, very little packaged foods I had a bout of candida plus not having my usual energy so started on anti candida diet. I was very strict and did not touch sugar or any other sweetener for approx 3 years, no yeasts in any food and still not feeling well often lethargic. To heal my stomach I then followed another 3 years of not one drop of sugar, dairy or gluten, only cooking vegetables morning, noon and night plus eating bone broths and home cooked beef, lamb and chicken and kept getting worse to the stage of not being able to function and having to spend a lot of days in bed plus visits to the hospital with suspected heart attacks only to be told there was nothing wrong with me. It was 2 years ago after many visits to doctors, naturopaths etc, etc that I discovered that I had massive histamine and salicylate intolerance. Once I cut out all beef broths and all slow cooked meats and nearly all vegetable after much trial and error I actually got my life back and could function again. I actually could only eat my histamine free meat and spelt flour scones I made each day and I was able to get some energy back. 18 months later no matter how many times I try to eat any vegetable except for a bit of potato my body will not tolerate it from slight shakes to very strong reaction such as fainting. I feel this excessive salicylate intolerance, not being able to take Vit c, ( a major shock reaction)or any other amino acids to heal the stomach, points to acidosos. I would really like your suggestions and help on how to enable my body to tolerate vegetables. frozen food: vegetables, fish, ready dishes, etc.. Can you tell me somethig about them? Reading through your site I realized that you suggest a lot of supplements. But I know that supplements are not good for your health if taken in quantity and for long time. Moreover your diet sems to be basically a vegan diet. I am 76 years old and what you would suggest to a peson of my age as a diet? Recently my urine ph was 5 and started taking a glass of mineral water with half lemon juice and a little spoon of sodium bicarbonate and it worked greatly. How long shuld I take sodium bicarbonate? I had that same question about the discrepancy of alkaline/acid foods and have a further question. While I understand that some foods supposedly create an alkalizing affect in the body, my body reacts very badly to tomatoes (especially) and vinegar and at least some citrus. I cannot eat them without terrible pains, bloat etc. I seem to have a very acid stomach and have to eat so bland. Any idea why these foods would bother me? Hi Ross. I downloaded your list of alkaline foods and it’s awesome; but one thing I do not see is coconut sugar. Is it alkaline? Is it high in any of the -oses? Also, how is popcorn with himalayan salt? Any better? I am new to this diet, and I am currently in a bad way for more hot food, in addition to wanting meat, chocolate and coffee!! These are hard habits for me to break. I think I might substitute coconut cream and stevia in my coffee, until I can totally break free. Tomato,Onion,citrus fruits and Garlic are NOT alkaline,they are acidic and harmful for people like me with acid reflux.You need to get your list right so people aren’t harmed. The alkaline-mineral content of these foods does make them alkaline, but I know people with varying degrees of GERD need to go easy on them until they’re back in balance. One size fits one – these are guiding principles I am suggestion, not a perfect solution for everyone. Leslie, Those are the same foods I cannot eat, as well as cheese .What list do you follow? My daughter has a terrible yeast infection and diarrhea. She is a very picky eater. What would be best for her to drink and eat to get better? Such a great website – thank-you! I just have a question about the chart. I noticed brown rice was in the moderately acidic table but then also listed as an alkaline food. Could you please clarify this for me? I have city water that has tannon in it and it stinks. They also add Floride. I don’t drink the water but have no choice but to wash with it. I bought a distiller. What else can I add to it to make it safe to drink? Bottled water was much too costly and had too many additives as well. I don’t drink enough water and it shows up as kidney failure. I need help! @Zinturis, even though the high sugar fruits are natural and would contain more alkaline minerals as you mentioned. Regardless it being natural sugar, sugar = acid. The high acidity would actually cancel out the alkaline properties. Dr Young, has tested a guy from California that loved his oranges. I am not from the states but I think that they are known for oranges there. However, he thought it was the healthiest thing on earth and Dr. Young did a live blood test and it froze and stuck together and did not move for hours. He was not happy. If you want to really test it, a Live/Dry blood analysis would answer it for you. I have also been confused about the differences between charts and after talking to my kinesiologist on the subject (it was her that introduced me to alkalising foods) , I asked her to test which charts were right and she found that it depends on your blood type to whether a food will be alkaline or not to the individual. I agree with this alkaline approach. But there is still a missing part in this chain. If you check many high sugar fruits you will notice one very interesting thing – the more sugar fruit has naturally the more alkaline minerals it contain. Isn’t it a natural balance of nature? For instance the same mentioned banana has much sugar but the nature gives much alkalizing minerals with it. The same story with other foods like raisins and other fried fruits, oranges, apples, pears, plums and etc. It would be interesting if someone who has pH of 7,5 would do a test and eat just bananas for instance for a couple of days and measured pH. So the answer would be a fact.